Bags, Baskets, Boxes - Go anywhere. Bring anything. While Portlandia is busy putting a bird on it, we're putting a bag on it. Don't hang plastic bags off your handlebars anymore! OSHA considers that unsafe, and we agree. Whether it's on your back, your saddle, or one of the solid racks we stock, a good bag is a lifelong friend. 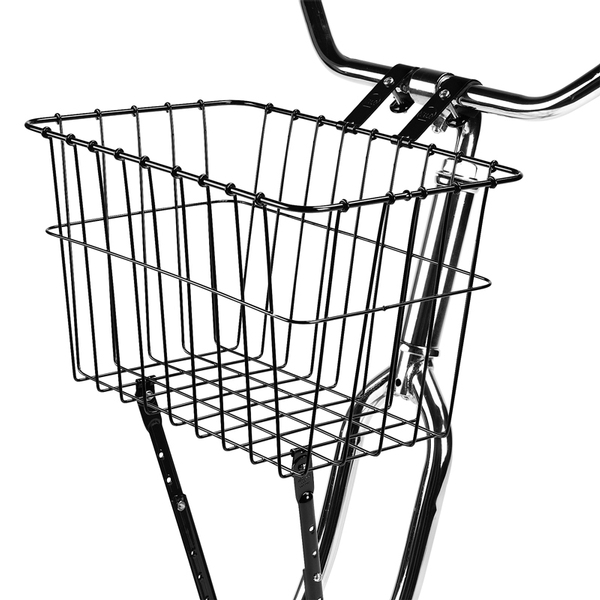 There is something at the store that will hold everything but your hand on your daily commute or your summer vacation tour. We stock Green Guru Gear bags from Colorado. They're urbane, durable, eco-friendly, weather-thwarting, thoughtfully designed, affordable, comfortable, and durable. We are also a drop-off location for used inner tubes that we will send back to Green Guru to be made into more bags. That's the cycle! 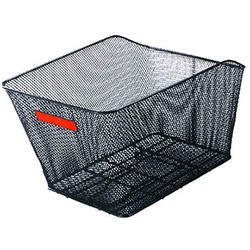 We always have a variety of wire baskets. Styles include traditional front handlebar/axle mount, top 'o rear rack mount, Racktime brand clip-on quick-release, Topeak brand clip-on quick-release, and more. Real wood, not wicker. 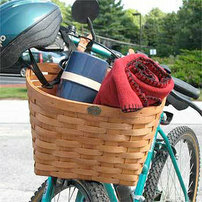 Peterboro baskets are an American original, and we always have them in stock. 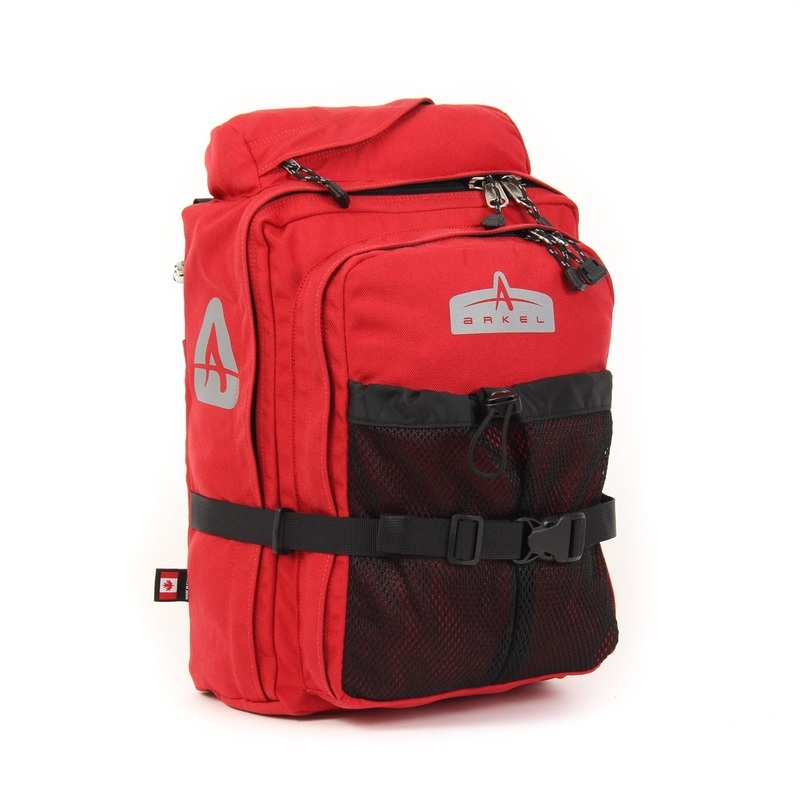 We're Chicago's only dealer for Arkel bags from Canada! Their broad offerings suit everyone, from the dedicated long-distance cycletouriste to the occasional commuter. 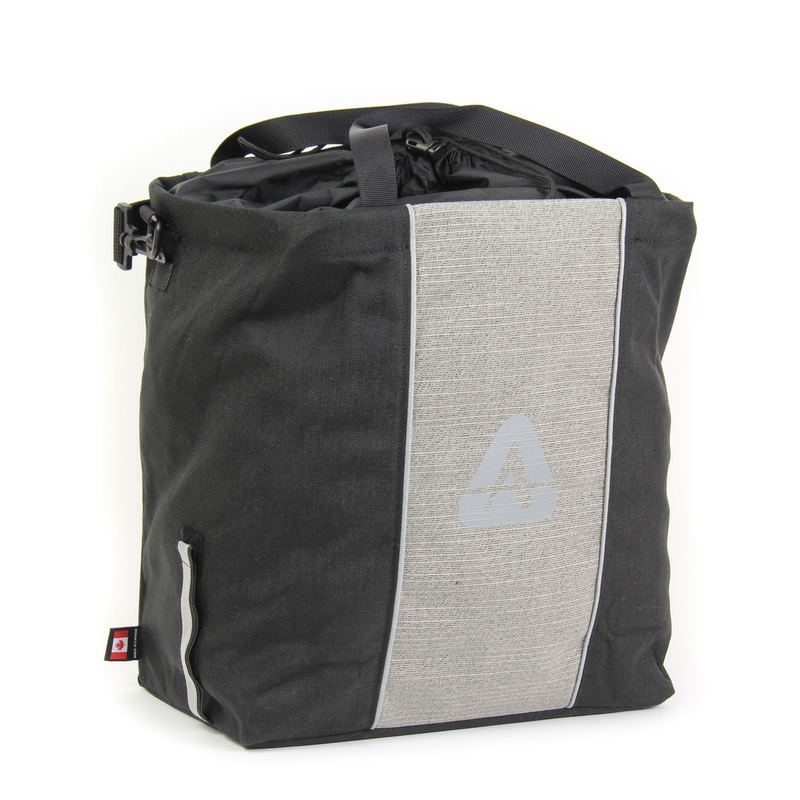 Arkel offers everything from traditional pocketed, compressionable panniers, to modern waterproof styles, to urban shopper styles. Lifetime warranty? Yes. Check 'em out. 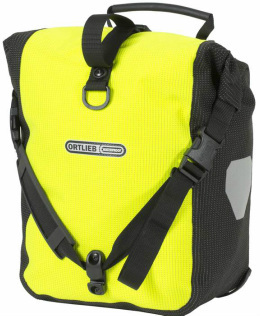 We stock Ortlieb bags from Deutschland. In many ways they're the industry standard dry bag. Tons of sizes, options, colors, and reasons to plan your next tour. With three mounting systems and several related brands under one roof (Racktime, Busch + Mueller, Tubus racks, UltraLite mirrors, Source hydration, and WOMO accessory mounts) the Ortlieb family is a touring nerd's dream.